Salmon, dill and lemon zest are cooked with butter and herb pasta for a flavourful meal that is a source of fibre and iron and ready in 20 minutes. Roma tomatoes, zucchini and fresh basil are combined with creamy tomato alfredo pasta and served with golden crostini topped with mozzarella. Chicken, fresh mushrooms and garlic are blended with carbonara sauce to create a meal that is a good source of iron and ready in 25 minutes. 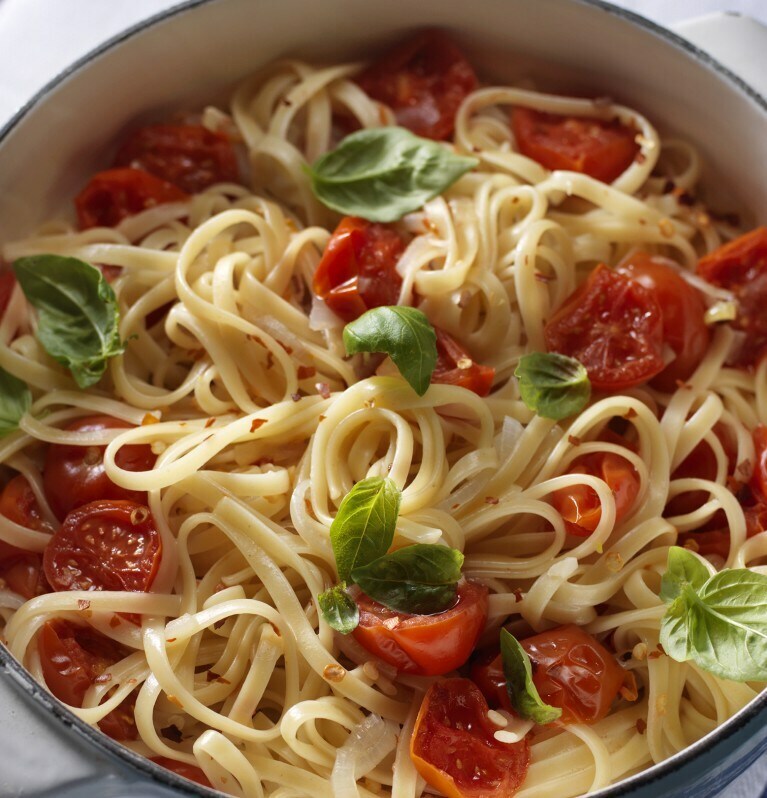 This One-Pot Pasta cooked in homestyle stock, garlic and cherry tomatoes is a light-tasting alternative to tomato sauce. Ready in 20 minutes.